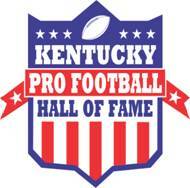 2017 Inductees and Honorees – Where Kentucky's Greatest Pro Football Players Live!!! 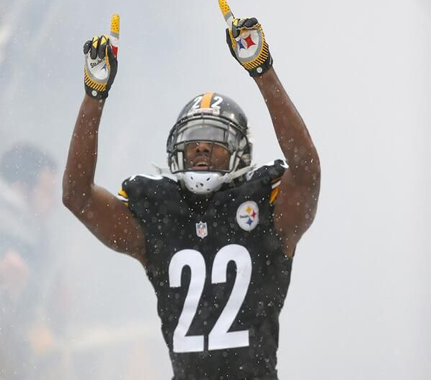 William Gay (born January 1, 1985) is an American football cornerback for the Pittsburgh Steelers of the National Football League. He was drafted by the Steelers in the fifth round of the 2007 NFL Draft. He played college football for the University of Louisville. Besides a stint playing for the Arizona Cardinals in 2012, Gay has spent his entire career with the Steelers. Gay played college football at the University of Louisville where he played in 46 games recording 134 tackles. 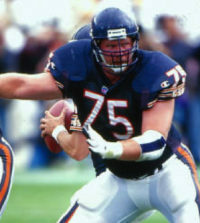 Perry played for head coach Bill Curry at Kentucky before an 11-year career as an NFL offensive lineman with the Chicago Bears and Miami Dolphins. He joined the Georgia State staff in 2009 and spent two seasons coaching the running backs. Before coming to Georgia State, Perry spent three seasons following his retirement from the NFL coaching on the high school level, working with the junior varsity programs at Alpharetta and Milton High Schools in metro Atlanta. A native of Elizabethtown, Ky., Perry was an all-Southeastern Conference guard for Kentucky in 1992. He lettered four years for the Wildcats and was named the team’s outstanding offensive lineman his junior and senior seasons. He was selected in the fourth round of the 1993 NFL draft by the Bears, for whom he played eight seasons (1993-2000), including six years as a starter. He received the team’s Brian Piccolo Award as an outstanding rookie in 1993. Perry, who started a total of 144 NFL games, concluded his career with three seasons (2001-03) in Miami, where he was a member of an offensive line that blocked for NFL rushing leader Ricky Williams in 2002. A three-time member of the SEC Academic Honor Roll, Perry earned his bachelor’s degree in biology from Kentucky in 1993. He and his wife, Heidi, have three children: Tyler, Alexandra and Kiley. Ernest “Ernie” Green (born October 15, 1938) is a former American football fullback for the Cleveland Browns in the National Football League. Green was born and raised in Columbus, Georgia, and attended Spencer High School there. Green attended the University of Louisville from 1958 to 1961, rushing for more than 1,500 yards in his college football career with the Cardinals and twice leading the team in that department. He also excelled in baseball, spurning contract offers in order to remain on the gridiron. In 1962 the reigning world champion Green Bay Packers drafted Green in the 14th round of the 1962 NFL Draft, but during training camp they traded him to the Cleveland Browns where he would make a name for himself as one of the league’s top running backs. 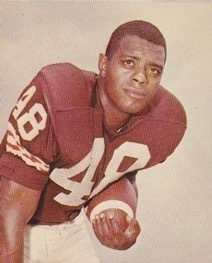 After seeing only limited action as a rookie in 1962, Green was installed in the Cleveland backfield the following year alongside legendary Hall of Famer Jim Brown. He finished his first full season of action with 526 rushing yards, and also caught 28 passes out of the backfield. Even more importantly, he also helped open holes for Brown to gain a then-NFL record 1,863 yards. In 1964, the two helped the Browns capture their fourth NFL championship, capping the year with a stunning 27-0 shutout of the Baltimore Colts at the 1964 NFL Championship Game. Following Brown’s retirement in July 1966, Green was switched from halfback to fullback and teamed with another future Hall of Famer, Leroy Kelly, to continue to give Cleveland one of the most dangerous backfield combinations in the NFL. He was selected to the Pro Bowl in each of the next two seasons, and was twice named an NFL All-Pro. In August 1968, Green injured his knee during a preseason contest in Los Angeles and missed the next two months. On his return, he saw only limited action due to lingering problems with the knee. Just after the end of the season, he underwent surgery to repair torn cartilage in the troublesome knee but was then advised to retire. He followed that advice and accepted the Browns’ offer to coach their running backs. In his seven-year NFL career, he gained 3,204 yards and caught 179 passes out of the backfield. Green runs Ernie Green Industries, which manufactures components for the automotive industry in suburban Dayton, Ohio. Bruce Kozerski (born April 2, 1962 in Plains, Pennsylvania) is a former American football center who played twelve seasons with the Cincinnati Bengals in the National Football League. He graduated from James M. Coughlin High School in Wilkes-Barre, Pennsylvania. He was an alternate in the 1988, 1989, and 1990 Pro Bowls and a member of the 1988 AFC Championship team. “Mr. Versatile”, as he was called, retired after the 1995 season. He married Elizabeth McMurrer and is a father of three children. Bruce was the 2011 season winner of the Paul Brown Excellence in Coaching Award. The award is given annually by the Bengals to an outstanding high school football coach in the region. He is a teacher at Holy Cross High School in Covington, Kentucky where he teaches geometry, pre-calculus, and calculus. He is also the head football coach at Holy Cross as well. He lives in Edgewood, Kentucky. On November 25, 2011, Kozerski, in his 8th year as head coach, led Holy Cross High School’s (Covington, Kentucky) football team to the Kentucky High School Athletic Association Division 2A, state football championship. It was the Indians’ first appearance in the state championship game. Holy Cross defeated Glasgow High School 33-14 in the championship game. “It’s gratifying to bestow this award on Bruce and his school, because he was a standout Bengal both on and off the field during his years with us,” said Bengals president Mike Brown. Kozerski’s teaching load at Holy Cross includes courses in Algebra, Honors Geometry, Pre-Calculus, Honors Calculus and Physics. He has spearheaded social service activities, including taking 40 students on an 18-hour bus trip to New Orleans to assist with clean-up after Hurricane Katrina. 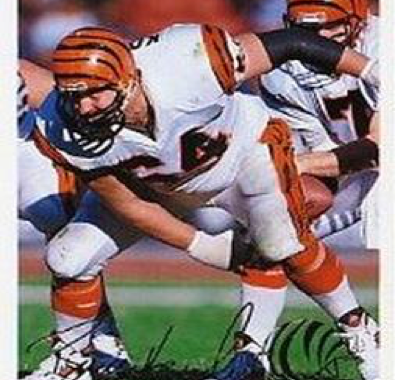 Kozerski played 12 seasons (1984-95) for the Bengals, one of only 14 players to log that many. He was the starting center on the 1988 Bengals team that won the AFC Championship and a berth in Super Bowl XXIII. Virgil Chester Livers, Jr. (born March 26, 1952 in Fairfield, Kentucky) is a former American football cornerback in the National Football League. 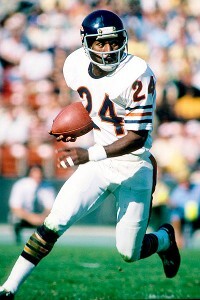 He was drafted by the Chicago Bears in the fourth round of the 1975 NFL Draft. He played college football at Western Kentucky. Livers also played for the USFL Chicago Blitz 1983-1984 as a defensive back. The team went 17-20 in those two years. One of the great success stories in the history of Western KY University Hilltopper athletics, Livers came to the Hill from Nelson County High School as a walk-on in football, developed into an All-America athlete and then went on to enjoy an eight-year career in professional football, six of those as a mainstay in the defensive backfield of the NFL’s Chicago Bears. Livers was named to the All-Time Ohio Valley Conference Football Team in 1988 and now, some 28 years after he concluded his career on the Hill, he still holds four WKU school records as a punt return specialist – returns in a season (50), net yards in a game (145) and in a season (545), and touchdowns in a season (3) – and one for interception returns – average yards per return in a season (24.6 yards per effort – five for 123 yards). And, his career interception yardage total (250 yards) stood tied as the Topper school record until 2002. He was a key figure on some of the great football teams in Western history, lettering four years (1971-74) as a defensive back and return specialist on Topper clubs that won 34 of 43 games (79 percent) and two Ohio Valley Conference championships (1971 and ’73 – WKU was second in the conference in both ’72 and ’74). And, he was a member of the ’73 team that took runner-up honors in the first-ever NCAA national championship playoffs. Livers remains one of only two defensive players in the Western record books to lead the team in all-purpose running. His 720 all-purpose yards (545 on punt returns, 123 on interception returns and 52 on kickoff returns) led the 1974 Hilltoppers in that category. He was also a standout sprinter on the Topper track team. His 440-yard-relay team’s 40.4 clocking in 1974 remains a school record. And, during his days on the Hill, he was also a basketball cheerleader. Livers was the first gridder in Western history to participate in a major postseason all-star game. The 1974 OVC Defensive Player-of-the-Year and a fourth-round draft pick of the NFL’s Chicago Bears, he earned berths in both the American Football Coaches Association All-American Game (Lubbock, Texas) and the College All-Star Game in Chicago (against the NFL champion Pittsburgh Steelers). In the College All-Star Game, he set a game record with his 89-yard punt return for a TD.